Until recently, the Royal Mail Redirection service only allowed people to redirect their mail for between 3-12 months. At the end of the initial 12-month period, you were then given the option to extend for a further 12 months if needed so the total redirection would be for 24 months. This is fine for those of you who know you are only going to be away for 24 months but life doesn’t always fit into just 24 months! Well, the great news is that for anyone who has a current Royal Mail Redirection in progress, or for anyone who is looking to set up a Royal Mail Redirection, you can now extend your mail redirection for up to 48 months! This is fantastic news for people who are living abroad for a set period of time on extended work contracts or for people who are always on the move. If you are looking to set up a Royal Mail Redirection and want to have full control over your postal mail – day one – wherever you are in the world, a very simple yet effective solution is to redirect your Royal Mail to your UK Postbox address. We provide a dedicated Royal Mail Redirection Address specifically for this purpose. By combining a Royal Mail redirection with a UK Postbox Royal Mail Redirection address, you will always be able to view and action your mail day one. With our mobile App for iPhone and Android, managing your post is even easier! 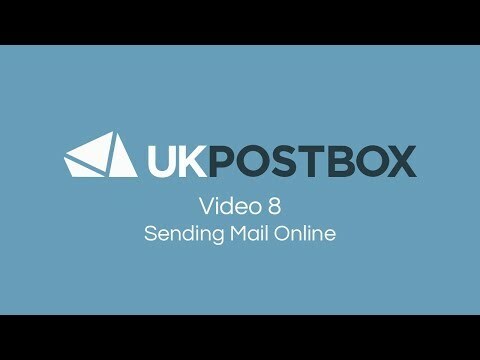 Providing you have an internet connection, you will always be able to access your UK Postbox account and action your mail accordingly. Why leave your identity behind when the Royal Mail Redirection and UK Postbox combo means you can keep it with you? !